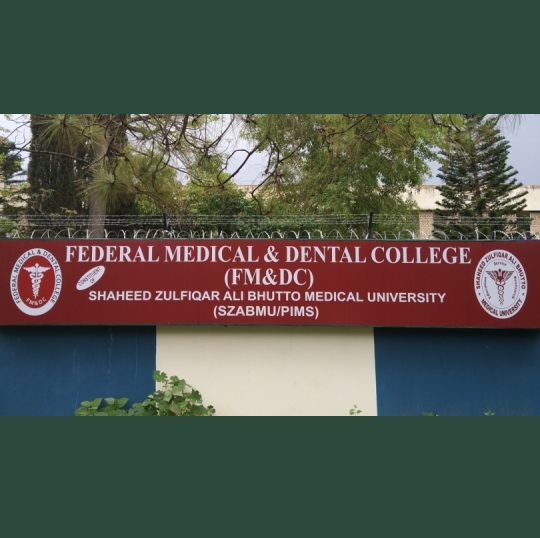 Federal Medical and Dental College (FM&DC), Islamabad is the first public sector medical college in the capital city of Pakistan. The College after inspection by Pakistan Medical & Dental Council (PM&DC) on 28th March, 2011 was initially awarded recognition for the degree of MBBS for 50 seats only. However, subsequently after re location to NIH premises this award was enhanced to 100 seats after due completion of PM&DC rules & regulations. 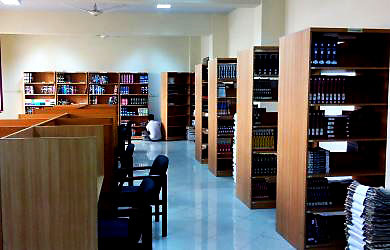 The College is affiliated with Shaheed Zulfiqar Ali Bhutto Medical University (SZABMU), Islamabad. The new campus of Federal Medical & Dental College (FM&DC) was established and inaugurated by the Prime Minister on 27th February, 2012. 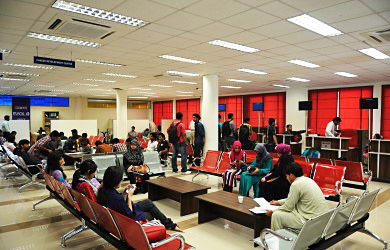 The institute caters students from all over Pakistan, with seats reserved for all the provinces as per approved government quota. 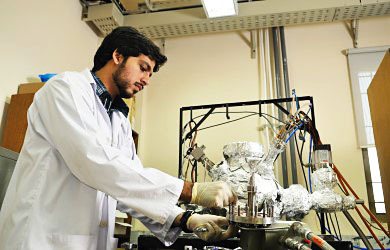 Pakistan Institute of Medical Sciences (PIMS) is the main affiliated hospital. However, additionally another hospital (Federal General Hospital) has been upgraded at NIH to a 200 bedded facility to provide for more clinical learning opportunities for the students. 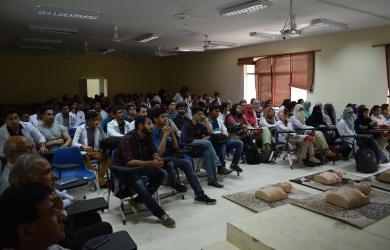 is the first public sector medical college in the capital city of Pakistan. Signed MoUs with PIMS for declaration of teaching hospital and also with SZABMU for declaring FM&DC as “Constituent” institution academically.